This is first part of Divertisement in D Major by Wolfgang Amadeus Mozart. It is recorded by our studio. This is second part of Divertisement in D Major by Wolfgang Amadeus Mozart. It is recorded by our studio. 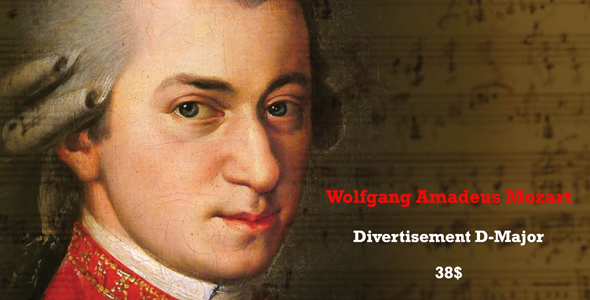 This is third part of Divertisement in D Major by Wolfgang Amadeus Mozart. It is recorded by our studio. Buy Now for $19 Have a Discount Coupon?